In the particular French context, the AIRE Centre became involved on the legal scene through a third party written submission before the British court of Appeal in the Secretary of State for the Home Department v ZAT & Ors  EWCA Civ 810 (02 August 2016). The AIRE Centre also got involved on the ground through some work I carried out in different circumstances in France, and this is what I would like to share in this note. Thanks to Mrs Nuala Mole, I became involved in this project working with a group of barristers from Garden Court Chambers and the Bar Human Rights Committee (BHRC). The BHRC carried out a two-day fact finding mission in March 2016 in two camps in Northern France, namely Calais and Grande Synthe, the latter being a camp run by Médecins Sans Frontières (MSF). Please note that these camps based are unofficial and therefore there was no official presence of the United Nations High Commission for Refugees (UNHCR). The BHRC mission was undertaken by two executive members of the BHRC and me, acting as an interpreter, translator and researcher. The mission focused on the endemic and systemic police brutality in and outside the camps against the displaced population residing in said camps and the excessive use of tear gas contrary to international law. The police brutality is mainly caused by the CRS (Compagnies Républicaines de Sécurité, founded in 1944), also known as the riot police. 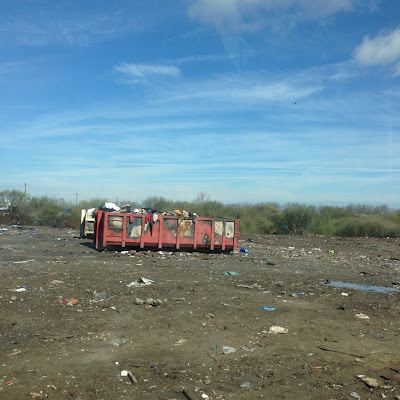 Supported by the Legal Shelter (La Cabane Juridique), the displaced population, victim of this brutality, have managed to lodge complaints before the Prosecutor of the Republic at the Tribunal de Grande Instance of Boulogne-sur-Mer. The Legal Shelter recorded more than 70 complaints. Challenges faced by this team are multiple but the transient residential nature of the victims means that many have moved on before the hearings. During a recent trip in Calais, I actually met with the lawyer in charge of these files, who confirmed there has been no convictions reached even when the evidence provided was very strong e.g. videos or pictures, and medical certificates. In a recent decision, the Tribunal did not reach a conviction as “the facts of violence were a legitimate use of force in accordance with the law, provided that such use of force respects the principle of proportionality”. There are also currently some ongoing investigations before the Inspection Générale de La Police Nationale (The Police of the Police, IGPN); however, this is usually a very lengthy and bureaucratic process. 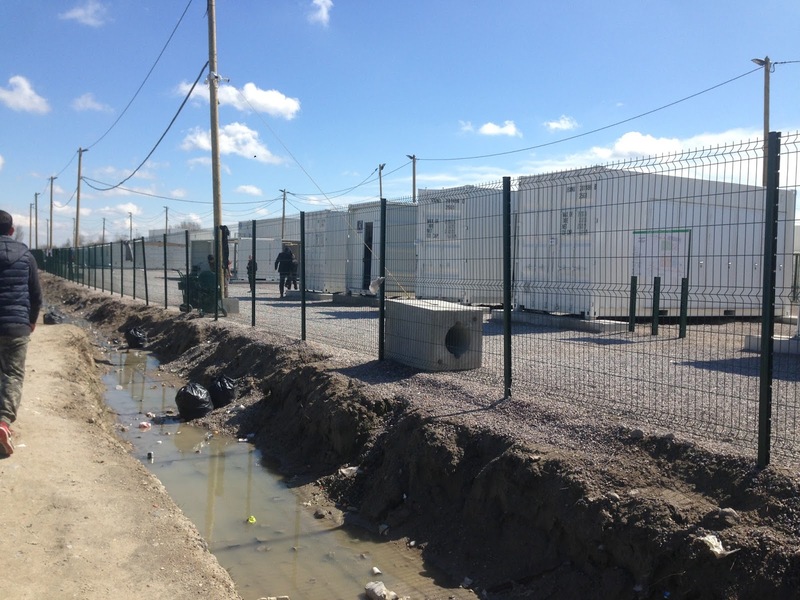 On 4 April 2016, Nicola Braganza, a UK barrister from Garden Court Chambers, decided to organise a training for to both private French lawyers and NGOs caseworkers and lawyers in Calais. Ms Braganza set up a team of UK barristers, solicitors and me, as a simultaneous English/French interpreter to deliver this training on asylum process in the UK and the Dublin Regulation 604/2013 of 26 June 2013 (Dublin III). The training was well received and, as a result, collaboration between British and French lawyers was envisaged. A further training was delivered on 16 September 2016.
and clashes between the police forces and the population regularly occur. - One of the most important reasons, many inhabitants of the camps already have families in the UK, and speak the language. 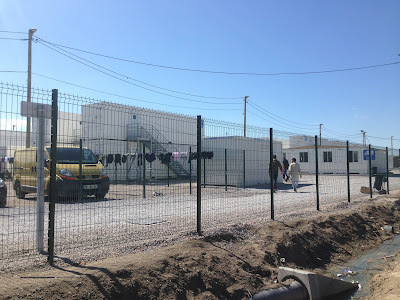 - The general opinion among the camps’ inhabitants is that in Britain they will be treated with common decency, respect, and would not live in such deplorable conditions. - Also, the vast majority of associations and volunteers helping the refugees in the camps are from the UK, not France, despite the camp being located in Calais. - Austere job prospects, harsh employment laws which make it very difficult for people to find jobs, regulations that prevent refugees from seeking employment for months and sometimes years, and growing hostility towards refugees are all motivating people to seek asylum in the UK rather than in France. To answer the question asked by the organisers, I do believe that there is more than one crisis. 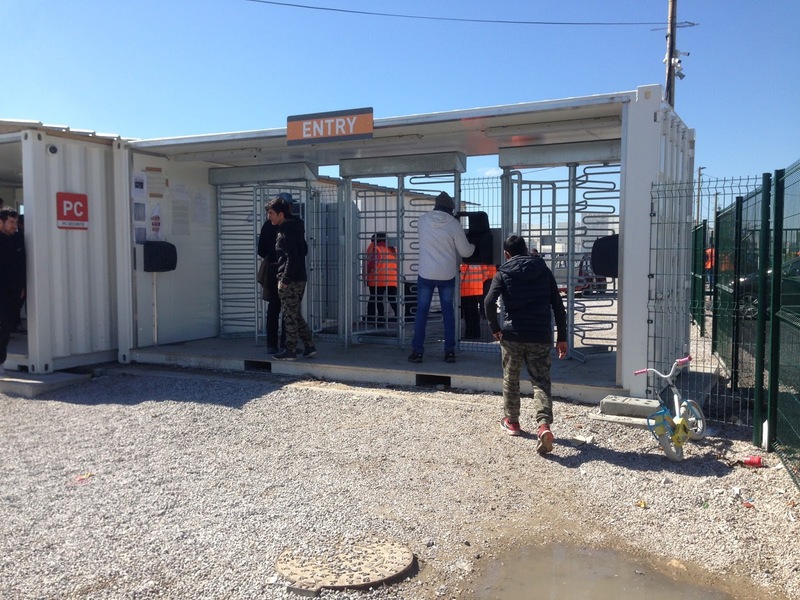 Focusing on the French context, one will notice challenges at different levels: At the local and regional levels, local and regional authorities are under tremendous pressure to close the camps and decisions are leading national charities and French lawyers to start legal challenges. The CAOs (Centres d’Accueil et d’Orientation) at the departmental level cannot host all the unaccompanied minors currently present in the camps as set out in the French legal framework. 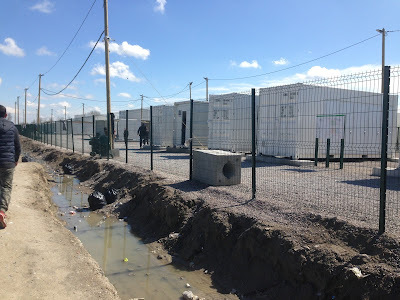 The situation in Calais concerns 10,000 displaced persons according to NGOs based on the ground (and 6,000 individuals according to French authorities). This figure is the object of important political and media attention, and has become a divisive and polarising issue in French public opinion. One can wonder to what extent this “topic” of the current refugee crisis is used to disguise important economic and societal issues that France is has been facing for years, and particularly the high rate of unemployment that is currently standing at 9,9 % of the active population. · The European Union needs to support the countries which are at the forefront of the refugee crisis in a sustainable and efficient way. · The European Union could support the provision of training to legal professionals in countries where the need is acute e.g. France, Greece, and Italy. · Temporary educational facilities for children and unaccompanied minors should also be provided so as to ensure their right to an education as enshrined in both international and national law. · Last but not least, the civil society throughout this crisis has adopted an exemplary attitude when the States did not fully engage with the displaced populations as per their international obligations under the 1951 Geneva Convention. We should carry on practising greater solidarity in this time of humongous human and structural challenges in Europe. I felt compelled to mention the exceptional example of MOAS (Migrant Offshore Migrant Station). Christopher and Regina Catrambone, two young entrepreneurs and humanitarians, founded the Malta-based MOAS after witnessing a lack of response to hundreds of individuals drowning in October 2013 off the Italian island of Lampedusa. Feeling compelled to act, they used their private funds to launch MOAS just four months later. They purchased the 40-metre (130-foot) Canadian fishing boat MY Phoenix and converted it into a search-and-rescue vessel with a trained search-and-rescue crew, a pair of six-metre (20-foot) rigid hull inflatable boats and two remotely piloted Schiebel Camcopter S-100s. In August 2014, MOAS became the first private rescue ship in the central Mediterranean when it began a 60-day operation off the coast of Libya. By the time the operation ended in late October, the MOAS team had performed 10 rescues and administered aid to more than 3,000 migrants. • The reports published by Refugee Rights Data Project (RRDP, a British NGO and registered charity). RRDP aims to fill information gaps relating to refugees and displaced people in Europe by conducting their own independent field research. They are independent of any political ideology or religion. One of the first reports entitled “The Long Wait” was published in April 2016. This report is a result of 870 individuals interviewed (men, women, and children representing 15% of the camp during that period) carried out within a week after the demolition of the Southern part of the camp at the end of February 2016. 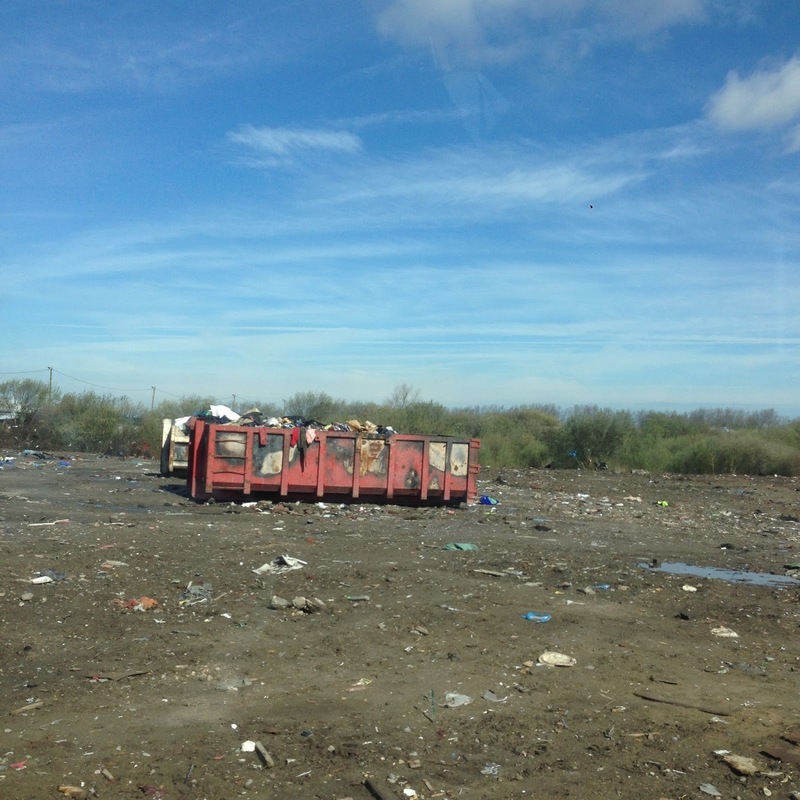 This represents the largest data collection in Calais. It focuses on the camp’s demographic composition, the living conditions and the police and civilian brutality. • Still Waiting: This report focuses on the questions “Why do you want to go to the UK? and “what information is most important to you?” [Date of research: 4 July – 19 August 2016]. 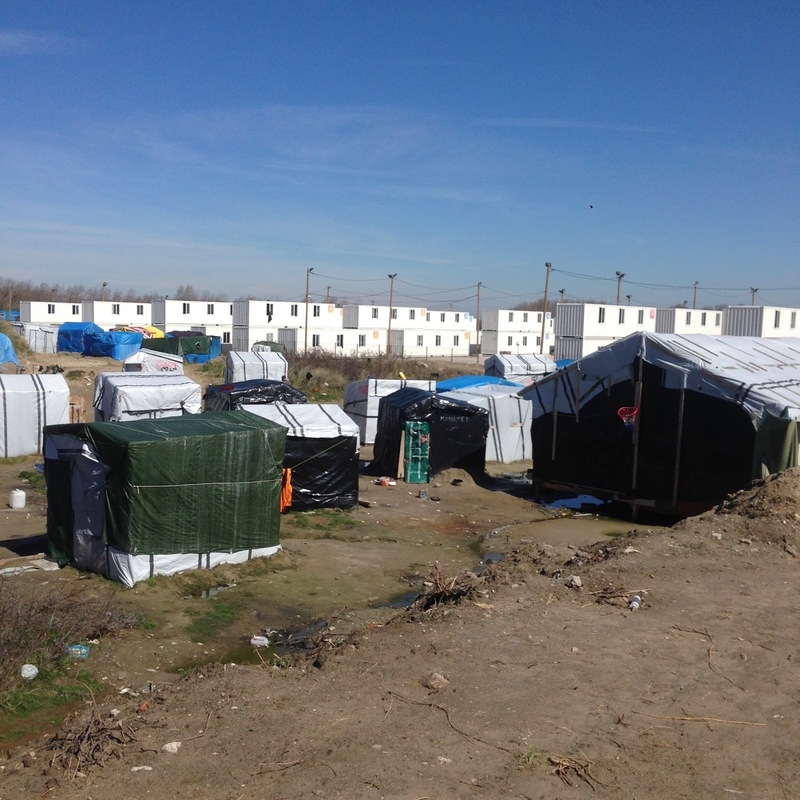 • The Unknown Knowns: This account refers to five discrete settlements around Calais and the living conditions within these smaller camps. It also raised serious concerns about human rights violations and unmet humanitarian needs. [Date of research: 23-27 June 2016]. • ACAT (Action des Chrétiens pour l’Abolition de la Torture (ACAT). ACAT is a Christian human rights NGO established in 1974. It is an association Loi 1901, and is recognised of public interest (association reconnue d'utilité publique). • And, finally, the report by Bournemouth University’s civic media hub and the Omega research foundation can also be read.